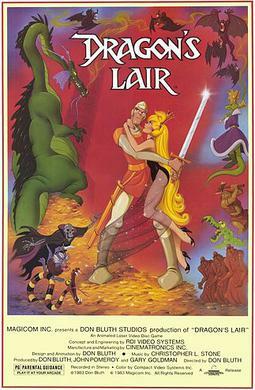 I'm pretty sure Dragon's Lair is the original QTE (Quick Time Event) game. Since I've never actually seen the game's ending, I decided to check it out on the Playstation Network. Even with audio cues and control hint overlays, a few of the sections were really tough! In the end however, I was able to finally view the entire animation uninterrupted. /checks that off the bucket list.